Last month was the hottest February on record by far. 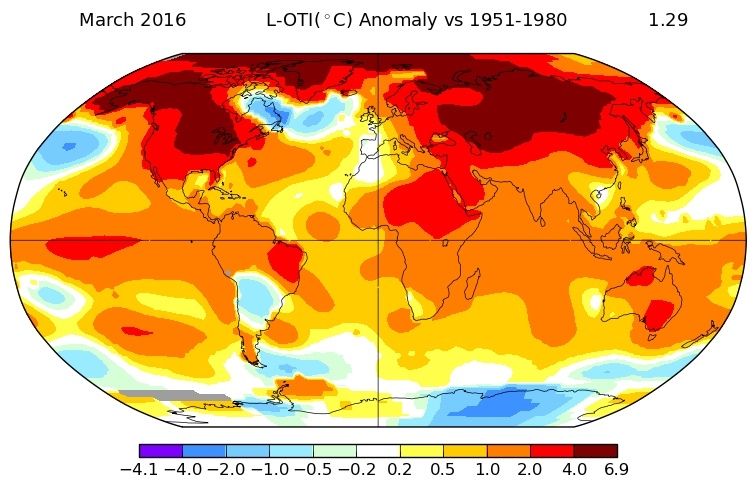 It followed the hottest January on record by far, which followed the hottest December by far, which followed the hottest November on record by far, which followed the hottest October on record by far. Some may detect a pattern here. This entry was posted in Events local and tagged El Nino, global warming. Bookmark the permalink.